Grilling steaks for Labor Day? This is a big ol juicy steaks best friend. This may be the easiest recipe I will ever share. All you need is a food processor or a blender and some fresh herbs and spices that you probably already have in your pantry. 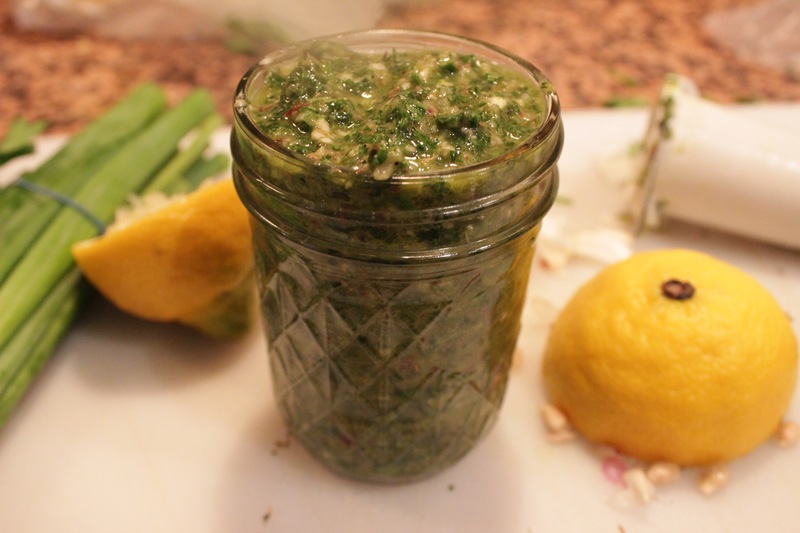 Chimichurri is a pesto like sauce popular in South America. 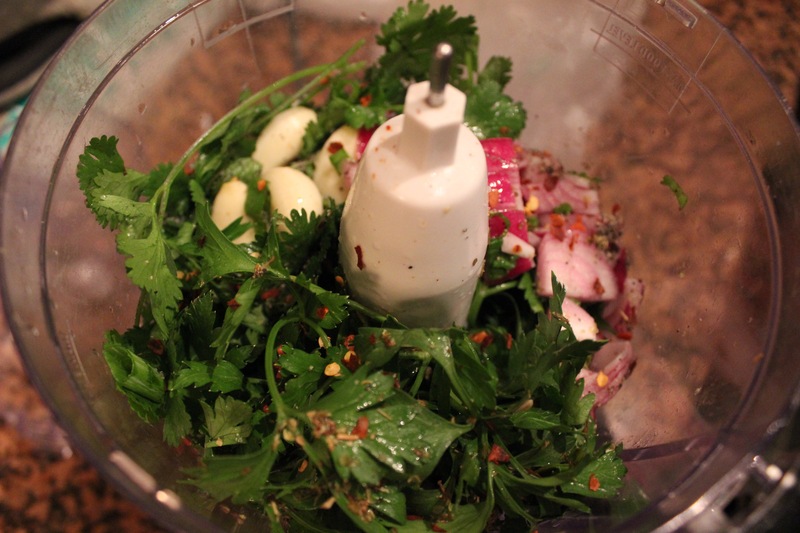 Unlike pesto which is basil based, chimichurri is parsley and cilantro based. It’s slowly but surely made its way onto menus in the states and has since become super popular. It is typically used as a marinade or as a dressing for grilled steak but you can put it on anything your little heart desires. 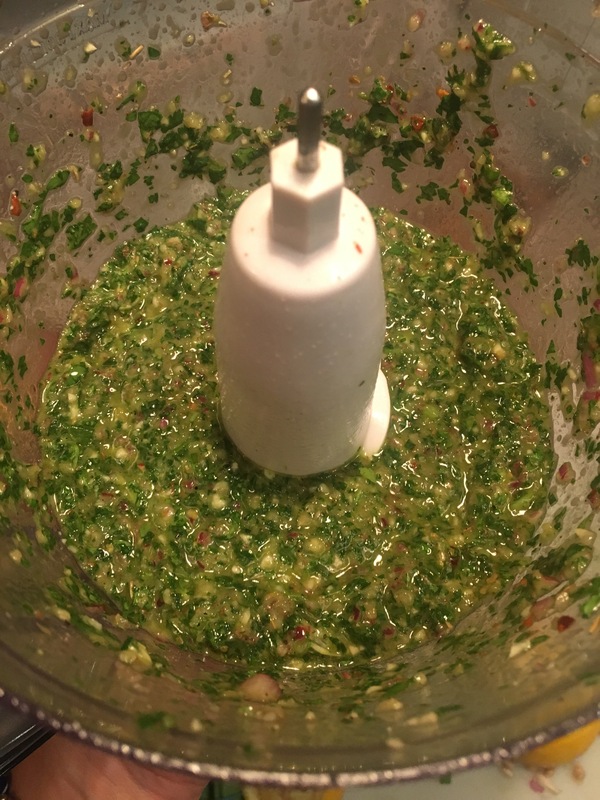 People get a little freaked out when they hear chimichurri because they either don’t know what it is, or they think it’s something fancy that can’t be made at home. WRONG AND WRONG. There is no specific way to make this which makes it so fun to make. This happens to be my favorite but some people prefer more garlic, less spice, different herbs or more vinegar. All of the ingredients are simple and available for you to buy at any grocery store. I think it cost me a whole 3$ to make a mason jar of this recipe and it stores nicely in the fridge for a while. You can easily double, triple of quadruple the recipe if you are having a cookout this Labor Day. It is ideal to use a food processor because blenders are so big but if all you have is a blender, don’t worry because it gets the job done. 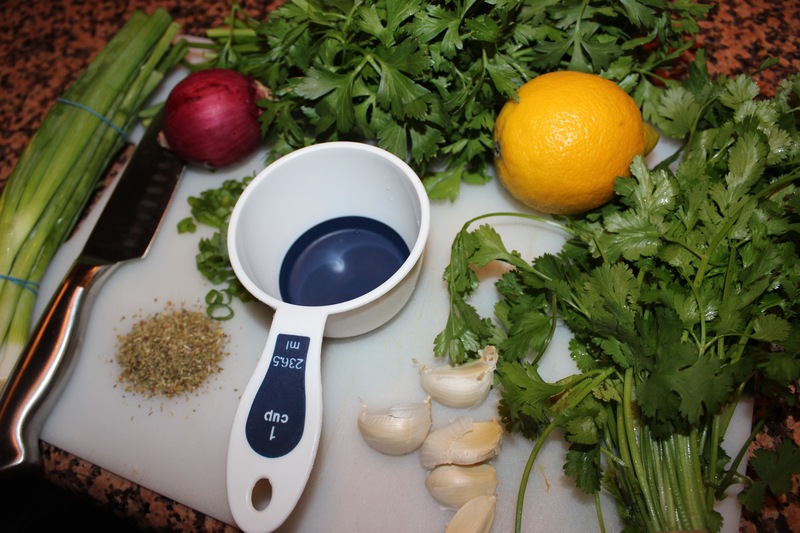 You can even finely chop the herbs and mix everything in a bowl if you don’t have either. Don’t be discouraged! It’s soooooo easy. 1/2 cup of good quality olive oil. I wish there was a long list of step by step instructions but for this one, you throw everything in your blender or food processor. Pulse until a major of the herbs or finely chopped and stream in your olive oil little by little until the sauce is nice and smooth. If you like a thicker sauce, use 1/4 cup of olive oil. You could use regular vegetable or canola oil but I would recommend olive oil for a much better taste and consistency.